A year after our first networking event we were back at the University of East London on 3rd Feb 2016. 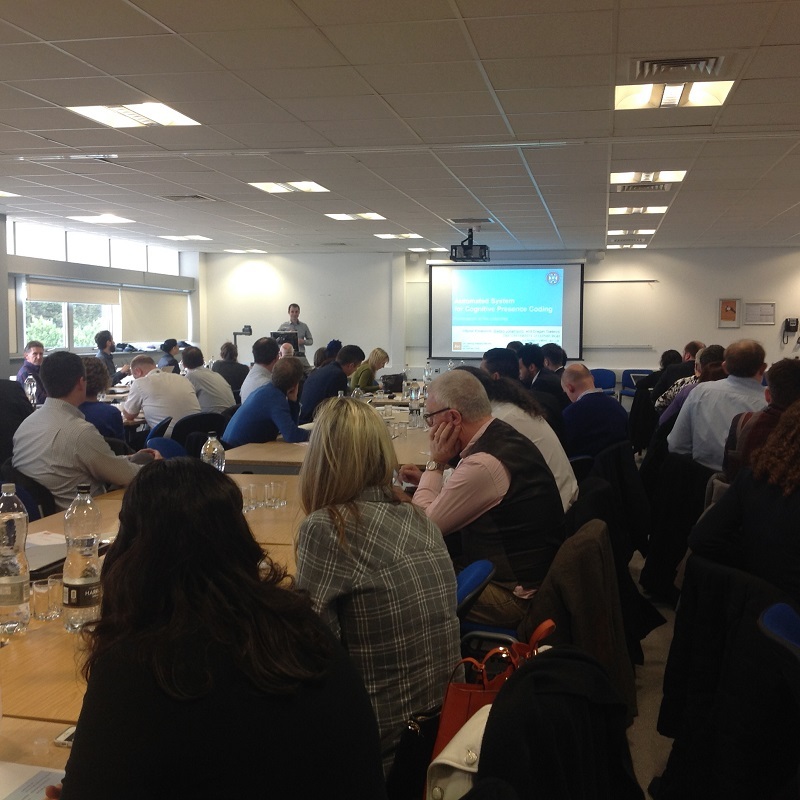 Interest in learning analytics has grown hugely over the past year, and we had nearly 100 people this time. We had an action-packed agenda with a lot of expertise provided by the various presenters. 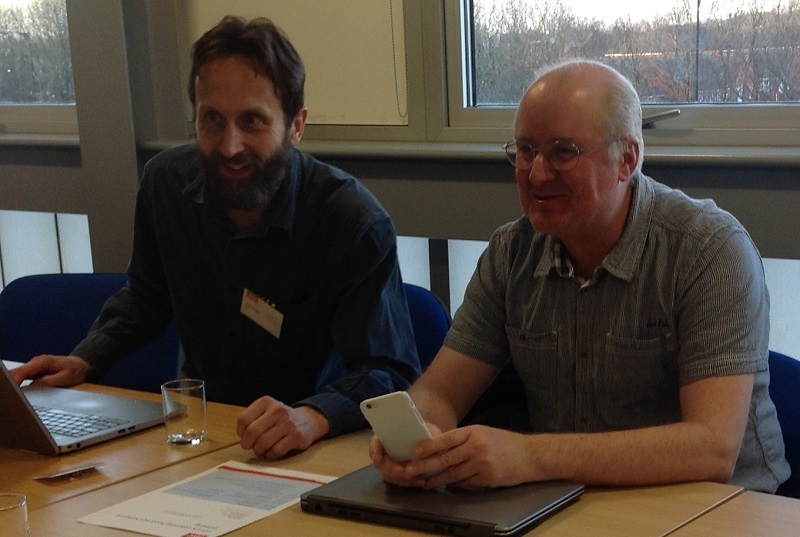 After a welcome from Prof. Nora Colton, Deputy Vice Chancellor, we heard from Michael Webb and Paul Bailey on the latest developments with Jisc’s learning analytics programme. Gary Tindell then brought us up to speed with UEL’s own developments in the area. As one of the pioneers in the UK of using attendance data and other sources to predict student performance it was great to see how things have developed at this institution over the past couple of years. The call of duty visualised – workload planning tool, Jitse van Ameijde & Lisette Toetenel, The Open University. Jitse gives further details on the tool in an earlier blog post. Can survey data be used as an indicator of learning outcomes? Karl Molden, University of Greenwich. Karl and colleague Veronika Hulikova explain more about their research on this blog. During lunch, colleagues were able to attend demos of some of the products being made available freely to UK institutions by Jisc: Student Insight, the predictive analytics software from Tribal, and the various open source components of the Apereo Learning Analytics Initiative, explained by representatives from Unicon and Marist College, who joined us from the US. In the afternoon we had a panel session entitled “Discovery Phase: How ready is your institution for learning analytics?”, chaired by Paul Bailey. 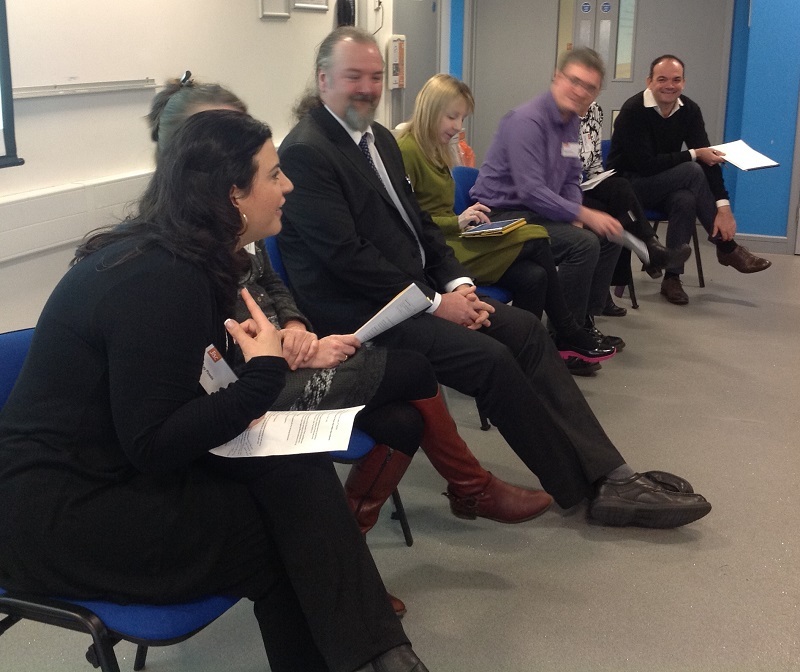 Panel members included consultants from the organisations visiting institutions to assess their readiness for learning analytics: Lindsay Pineda (Unicon), Patrick Lynch (Unicon and the University of Hull) and Andy Ramsden (Blackboard). Also on the panel were people from institutions which had been assessed by the consultants: Sheila MacNeill (Glasgow Caledonian University), Sue Milward (University of Exeter), Michael Aherne (University of Strathclyde) and Tessa Rogowski (University of Essex). We then had two parallel sessions, one which delved into the mysteries of “Developing metrics and predictive algorithms – and how to go about it at your institution” from Chris Ballard of Tribal and Sandeep Jayaprakash from Marist College (presentation). Simultaneously, Lindsay Pineda and Patrick Lynch presented on “Interventions with students and how to manage them“. 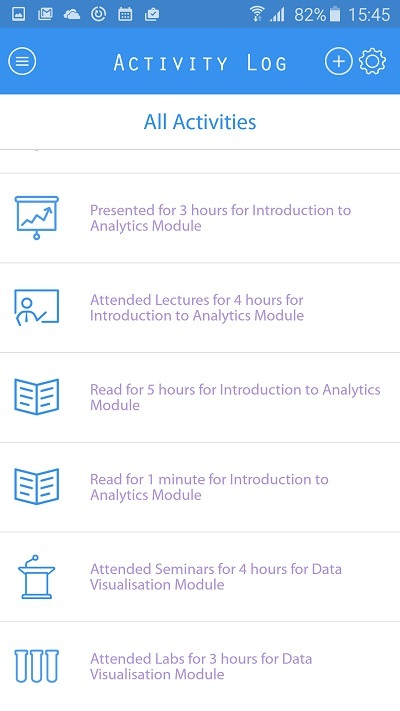 In the final session, “Is the Student App the “killer app” for learning analytics?” I demonstrated the student app which has been being developed for us by Therapy Box and will be piloted imminently with students at a few institutions. This is progressing very well now and early versions are being tested on iOS and Android platforms. The app now includes the setting of targets and the logging of activities by students, as well enabling comparisons with peers. Andy Cook, UEL’s CIO, bade us farewell from what, I think anyone who was at the event will agree, was the beating heart of East London. Many thanks to Gurdish Sandhu and her colleagues for providing the venue for an excellent event. Posted by Niall Sclater on February 16, 2016 in Discovery Stage, Institutional Use, Metrics, Micro-projects, Network, Open learning analytics, Student App.